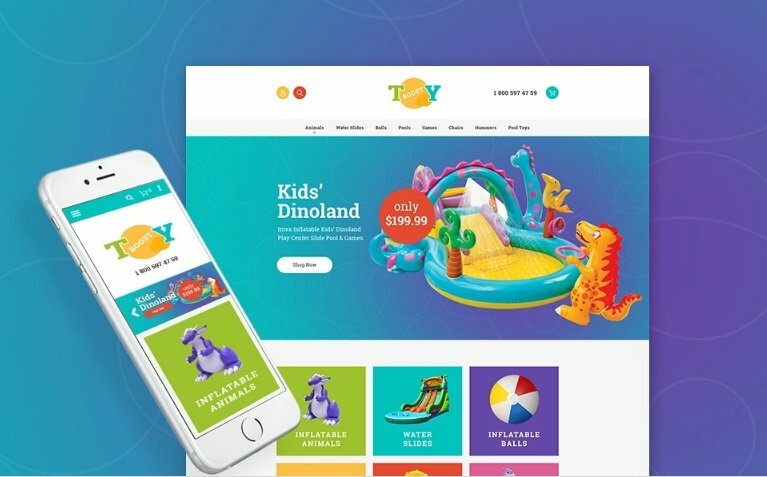 Did you know that it is possible to create a stunning digital toy shop on the basis of Magento 2 with the help of just a single template? 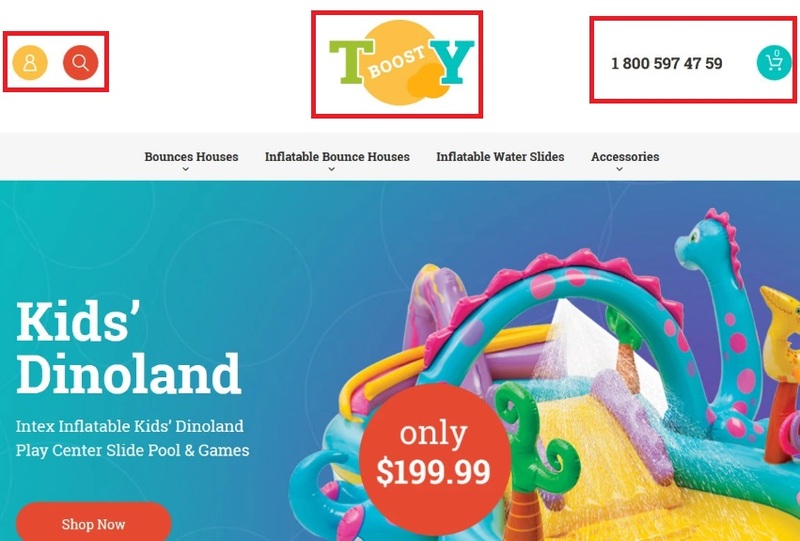 If no, check the following post where we describe how to achieve this goal with the ToyBoost Magento 2 theme by TemplateMonster. The template provides all the necessary features combined together in order to provide store visitors with the best possible shopping experience. At the same time, Magento 2 allows you to create multiple store views controlling them from a single admin interface. The benefits are obvious, so let’s pay closer attention to details. Of course, kids won’t buy anything without parents’ permission, but they are smart enough to search for toys they like. 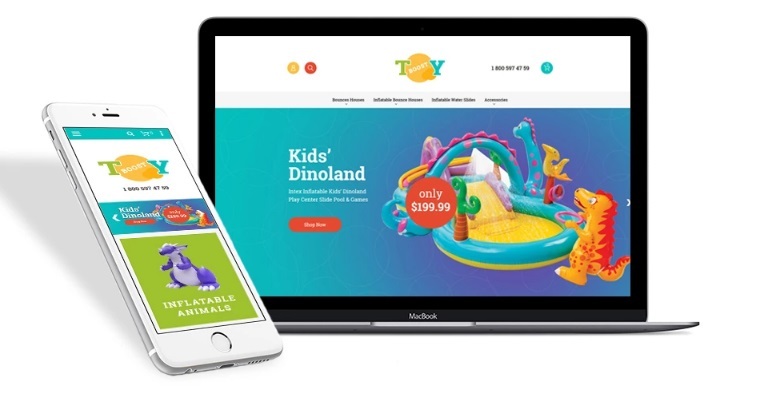 Nowadays, even the youngest customers know what to do with the smartphone, so it is extremely important to make your ecommerce toy store fully responsive. 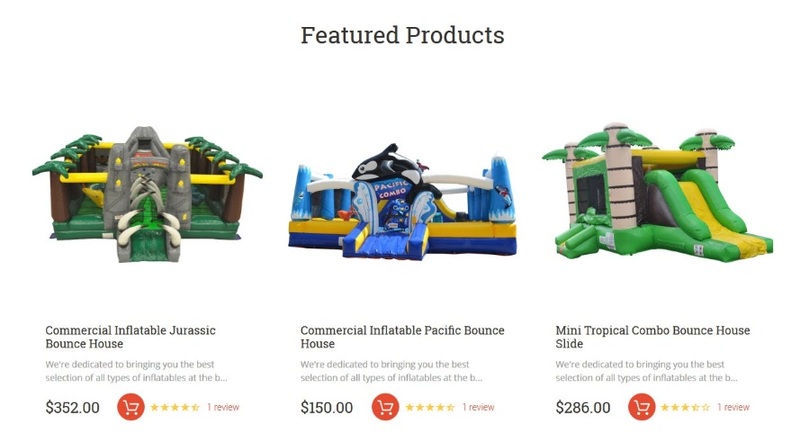 Allow both parents and their children to surf your Magento 2 website on mobile devices without any headaches with the TemplateMonster ToyBoost Magento 2 theme. Thus, you won’t lose potential buyers who don’t want to use desktop computers or laptops to look for some desired goods. Another extremely important element for any Magento 2 toy shop is megamenu. How can it help in a business, you will ask? The answer is obvious. Have you ever seen the default main menu in Magento? It only show plane subcategories and no other content is displayed. Neither kids nor their parents won’t be impressed by such a conservative design solution. Furthermore, kids can even stop surfing your store. Luckily, TemplateMonster ToyBoost Magento 2 template includes preinstalled Megamenu Magento 2 extension. With the help of this tool, you can not only add links to any store pages to main menu, but also place various images there, dramatically improving its visual appearance. Thus, shopping becomes more engaging and informative. As for newsletter popup, it is oriented more at grown-up customers. IT is hard to imagine that a kid will sign up for your newsletter, but parents can. 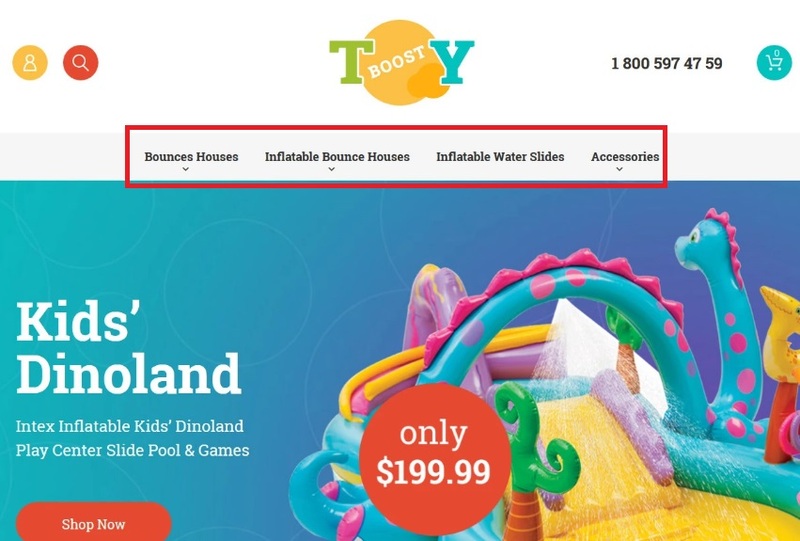 And to increase the effectiveness of this feature, TemplateMonster ToyBoost allows to display a popup in addition to a special area on a page. The popup appears suddenly, and is more appealing to customer than a default solution, so chances to collect subscribers increase. 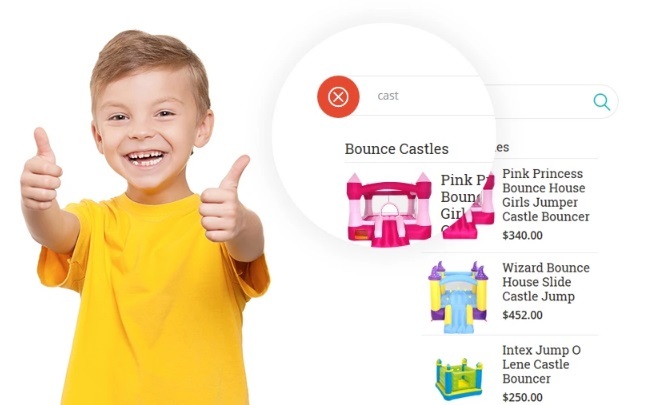 Eye-catching sliders are another important feature this Magento 2 template provides. They allow to attract customers’ attention to promoted goods redirecting store visitors right to pages where these goods can be purchased. 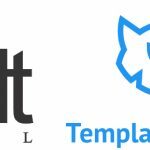 Of course, the success depends on the design you create, but the TemplateMonster ToyBoost Magento 2 template provides a great opportunity to represent this design in the most efficient way. And with rich sorting options, the theme allows to discover the desired products as fast as possible. 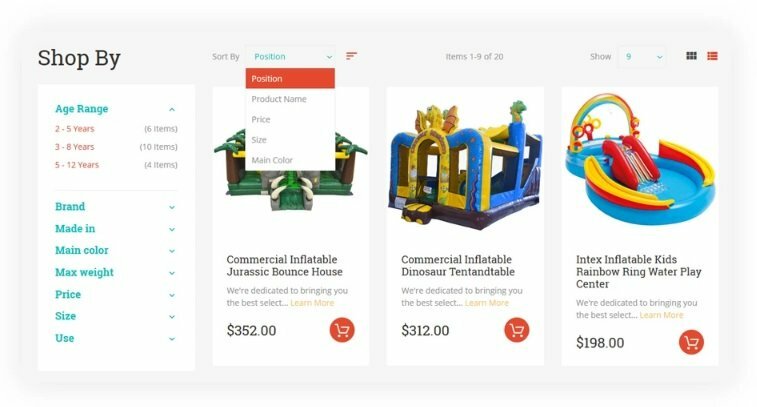 Customers can rearrange the appearance of products on a category page, specify the amount of displayed items, and apply various filters. Below, we will describe this in more details. Last but not least, the TemplateMonster ToyBoost Magento 2 theme provides AJAX-based search that fully supports the autocomplete functionality. 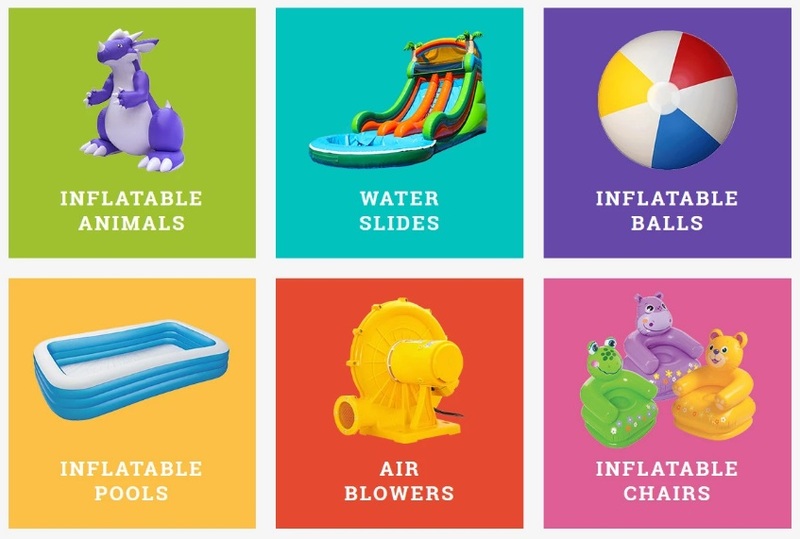 The tool makes it possible to find the necessary toys without even leaving a homepage. The search results list contains both categories and products, displaying images for each item. Now, when all core features are described, we can proceed to our exploration of the frontend section. Due to some server problems, we can’t describe the full store functionality, but look at what is available on the homepage. You get a yellow button that allows to open options related to a customer account. Next to it, there is a search icon that opens a search field (with autocomplete functionality). The center of the page is occupied by the logo. On the right, you can see a contact number and a turquoise cart icon. Hit the icon, and you will see a mini cart widget that allows to view and edit a cart content without going to a cart page. Besides, you can proceed to checkout. Next, you can see the main menu that can be enhanced with links and product pictures in the TemplateMonster ToyBoost Magento 2 template. Another homepage element that deserves your attention is a content slider. Here, you can promote any items from your store. Add a catchy background picture and place a name, a description, a Shop Now button, and a label with a new price on to of it. Note that you can create multiple slides. And there is a section with featured products that display product images, names, short descriptions, prices, ratings, and reviews. With the help of red icon with a cart, a product can be placed to a shopping cart without visiting its page. Next, there is a block with static content that informs about various discounts up to 50%. As a store owner, you can create any promotion instead of it. 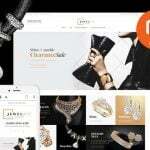 As for footer, it contains links to various store pages with additional information about the store, various policies, and customer account links. Besides, there is a small section with testimonials.